This 2000 litre slim water tank is for those people who need a little more water storage capability. If your property has limited space then this Thinktank is the ideal solution to enable you to increase your water collection capabilities, this rainwater tank has an overall width of just 480mm. This modern and stylish slim rainwater tank is the next generation tank from the 1000 litre and has been designed and manufactured to the same high quality and standards with 12 vibrant colours to choose from as well as a rock solid 10 year guarantee to ensure the water tank can stand the harsh outdoor conditions of Australia. 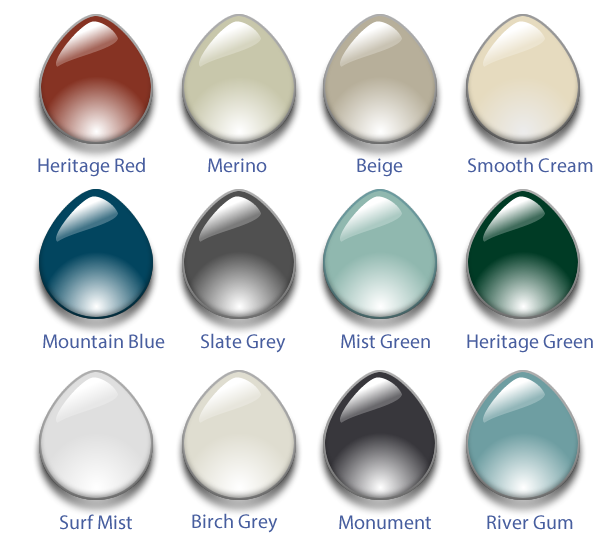 Slimline rainwater tanks are now the most popular rainwater storage tank sold in Australia. The 2000 Litre Slim Water Tank Really Stands Out From The Crowd! This water storage unit is perfect for anyone needing more water storage capacity. The zize of this tank makes in the perfect candidate for installation in small areas, such as courtyards or any restrictive areas around a residential or business property. The 2000 Litre water collection unit has been designed by an engineer in accordance with all AS/NZ Standards and designs confirmed with FEA testing. Designed for easy installation into any location especially those places around a property that have limited to space to spare but need a reliable water supply. All Thintanks comply with AUSTRALIAN STANDARDS including AS/NZS 4766 & 2006 Polythene Storage Tanks, AS/NZS 1170.2:2002 Wind Actions. This water harvesting tank is ideal for those that want to collect extra water without sacrificing space or aesthetics. 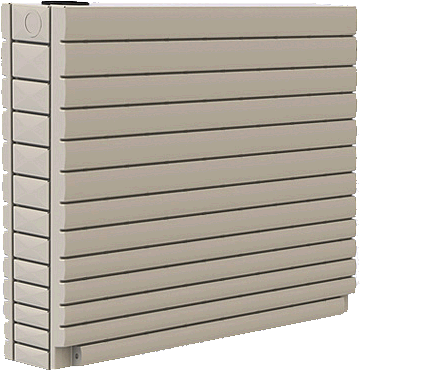 These units can be installed as stand alone or joined together to form a fence. Further innovation, research and development to ensure that Thintanks remain as the the water storage tank with the most aesthetically pleasing appearance led to the innovative idea of adding a Vertical Garden to the face of the watertank. 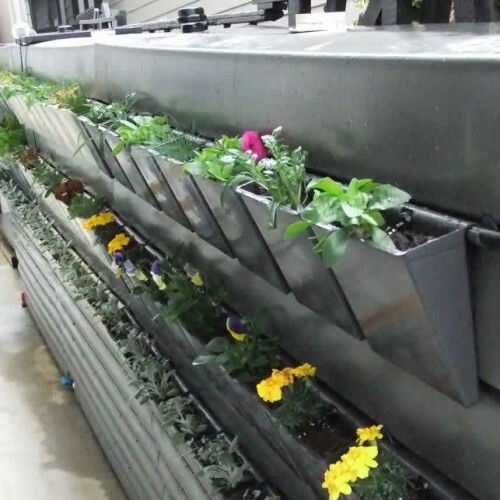 The Vertical Garden system has been designed by the same engineer and has a fully integrated irrigation system that utilises the water stored in the tank. Thinpots are specifically designed planters that hang from the front of the 1000L and 2000 litre tanks. Not currently available for the 3000L. If you have any questions about our 2000 Litre Thin Water Tank you can call us on the number provided above or please us our contact page or even add your comments below. Also require a rainsaver pump. I will email you pricing for a 2000 litre ThinTank to be delivered to Newcastle. We do not sell the RainSaver pump as there were many problems with that particular product. We prefer to supply the Claytech pumps using the Hydraulic operating ” AquaSaver ” unit which is more reliable and comes with a 2yr on site warranty. Thanks for your enquiry on the ThinTanks. I have emailed you current pricing on the TT1000 & TT2000 together with information on the new ThinPots which can give a Vertical Garden on both tanks. Hey guys, how much would a 2000 litre slim tank cost delivered to Woy Woy 2256. Thanks Grant. Thanks so much for your enquiry regarding the 2000 litre ThinTank. I will email you a quote through asap. Thank you for your enquiry on the TT2000 ThinTank. I will email you through a quotation shortly. Could I please get a price for a 2000L + delivery to Cammeray 2062? I will be sure to get a price out to you today with delivery for the TT2000 ThinTank to metro Sydney today. Hi there, I would like to enquire about the 1000 and 2000 litre water tank. And how much for delivery to mascot area 2020? Thanks for your enquiry regarding the ThinTanks. I will get a current quote out to your email asap. Both in surfmist delivered to Lane Cove (2066) Sydney. Thanks for your enquiry on the ThinTanks range of water tanks. I will email you through an updated quote on the tanks requested today. Thank you for your enquiry regarding Thin Tanks. Please refer to your inbox for a quote that I sent you earlier in the week form Tight Spot Tanks Australia. Please let me know if yo have any further enquiries. Alternatively, do you have any resellers in Queensland/Brisbane? Please refer to your email where I have sent you a quote for the TT1000 & TT2000. I have forwarded you a quote to your email address. Please refer to your email where I have sent you a quote. Hi I’m interested in both 1000 & 2000L and also the vertical garden pots for both plus delivery cost to 2335. Please quote the price for 1,000 and 2,000 litre tanks. Please state the price with and without delivery to 2077.
i’m interested in 2000 ltr thin tank. can you please give the price for that? Please refer to your inbox where I have sent you a reply. What are the dimesions of your 1000 ltr tank and the price. Also is there a discount for ordering more than one? Hello, how much 2000L tanks and delivery NSW 2142? Are there a suppliers in the United States? I live in New Jersey.